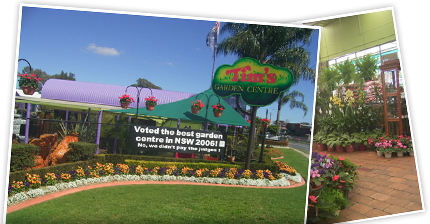 Tim's Garden Centre is a local business which runs in the heart of Campbelltown. Tim’s Garden Centre has 5 qualified horticulturists and most have over 20 years experience in the nursery industry. They know how to fix sick plants and they will give you advice on the safest products to use so you don’t poison your family. Tim’s staff are (CNP’s) Certified Nursery Professionals so the staff are kept up to date with the safest products that control pests but are earth friendly. 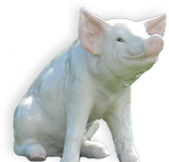 Tim's Garden Centre ever-popular pig uses his milkcrate at the front of Tim's Garden Center to have his say on current events. Now is the best time to plant Goodbye Neighbours. Click here to read more about Goodbye Neighbours.